The real estate market is the investment sector involved in dealing with physical buildings, commercial or residential. As everyone has to live somewhere, either owning or renting the place, you can imagine that this is a huge market globally and anywhere in the world locally as well. 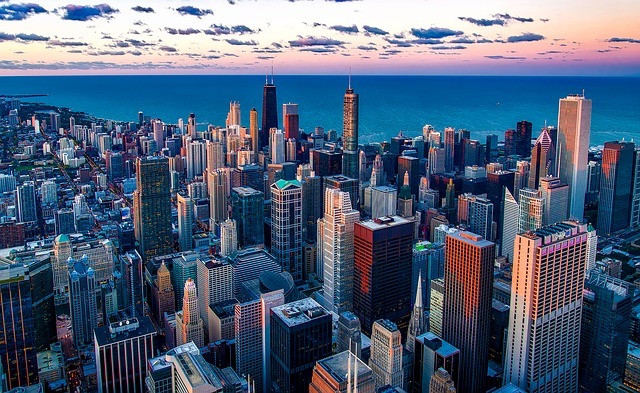 Chicago is the third largest metropolitan city in the United States with a large population, a diverse economy with an emphasis on financial markets, and a stable labor market. Due to these favoring factors, the real estate market in Chicago is considered as one of the best rental real estate markets in the US. Why Invest in Chicago Real Estate Market? The Chicago real estate has recently been ranked as one of the most undervalued markets in the world. While over the years Chicago has lost a small part of its residents, the city’s world-class skyline is cluttered with new skyscrapers being constructed as we speak. There is certainly a building growth taking place over there but not a frenzy, creating an incredible amount of business and favourably affecting the real estate market in the region. There has never been a better time to invest in real estate in the Windy City than right now. With high real estate prices, lower-than-average job and population growth, Chicago City may not seem like a better place to invest in real estate. When focusing on finding the biggest capital growth and income, you will see that Chicago neighbourhoods offer some homes very high rates from rental each month. This shows the real estate in Chicago is more affordable than many other areas in the United States today. In the neighbourhoods where real estate properties are the most undervalued, investing in a flat for rental can be cost-effective. Real estate values usually increases with inflation. In fact, many times real estate often rises faster than inflation because of comparatively less availability relative to other consumer goods and services. The Chicago real estate market tends to be inelastic as demand increases prices will rise faster in this city. Interest costs can be fully tax deductible for your personal residence or for commercial real estate investment. This means the cost of funds is reduced by your taxable income. Another important tax advantage to owning a property in Chicago is the ability to depreciate any property being rented. Devaluation is a legitimate deduction used to offset revenue that would otherwise be subject to taxes. This means you can prove a loss on your investment, utilize that loss to reduce your personal income, and thus lower your taxes. Buying a Chicago real estate property gives you complete flexibility and prospective business opportunities. You will find the best opportunities to organize the financing, bring all the elements together, and make something where there was nothing before. The commercial real estate investment is that such investments yield compounding cash flows. Taking benefits of this brings a fairly long-term horizon, but that gets back to the tortoise and hare metaphor. The Chicago real estate market is much more healthy than it was a decade ago. This does benefit buyers more than sellers at the moment as prices are still low relative to other cities in the country. The Chicago’s real estate market is on the right track and can be a good prospective business opportunity. If you are interested in learning more, contact a top broker and see what they currently have on offer. The Kale Realty listings is a good starting point where you can get a good idea of price levels and the most recent properties on offer.